I have to admit I was a bit overwhelmed. It was a very full day. But, it turned out to be an extremely fun one. 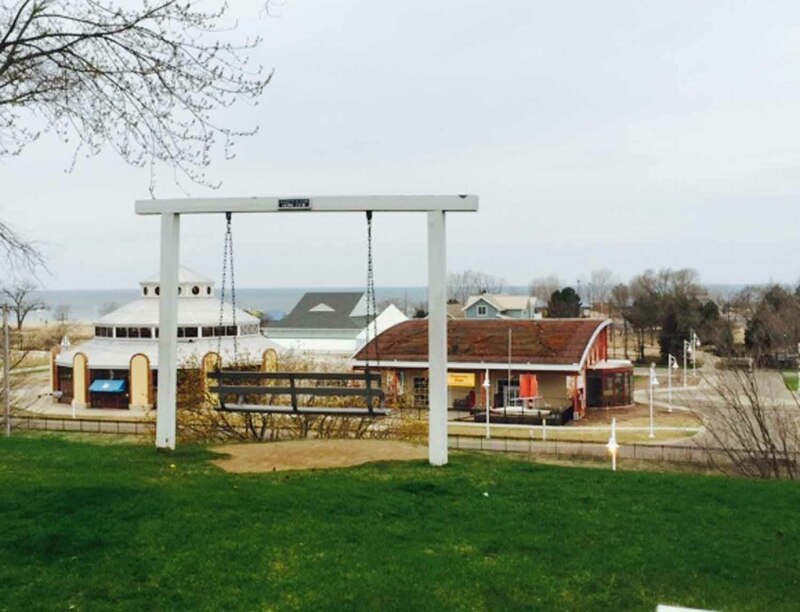 After a good night’s sleep at the Inn at Harbor Shores, we headed to downtown St. Joseph. 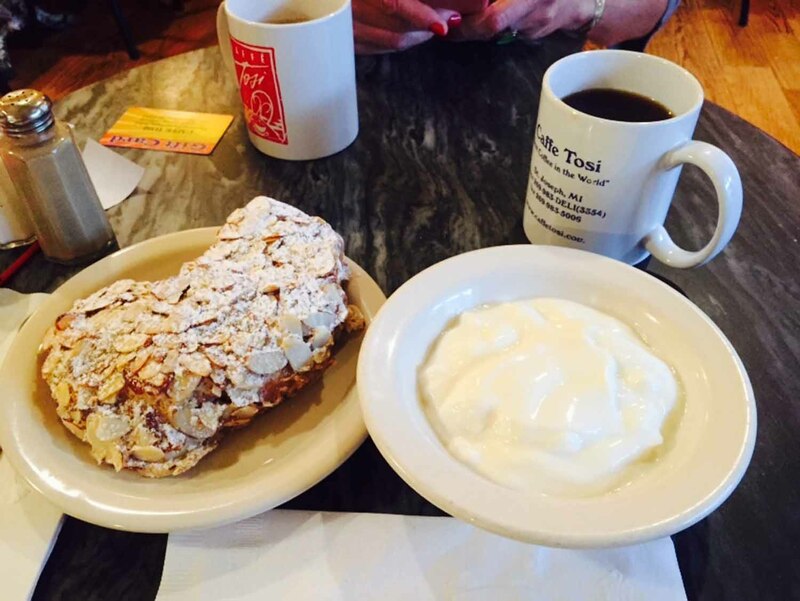 We started off fueled, thanks to Caffe Tosi. Lynn had a plate full of fruit and granola and I went for plain yogurt with a luscious almond horn on the side. 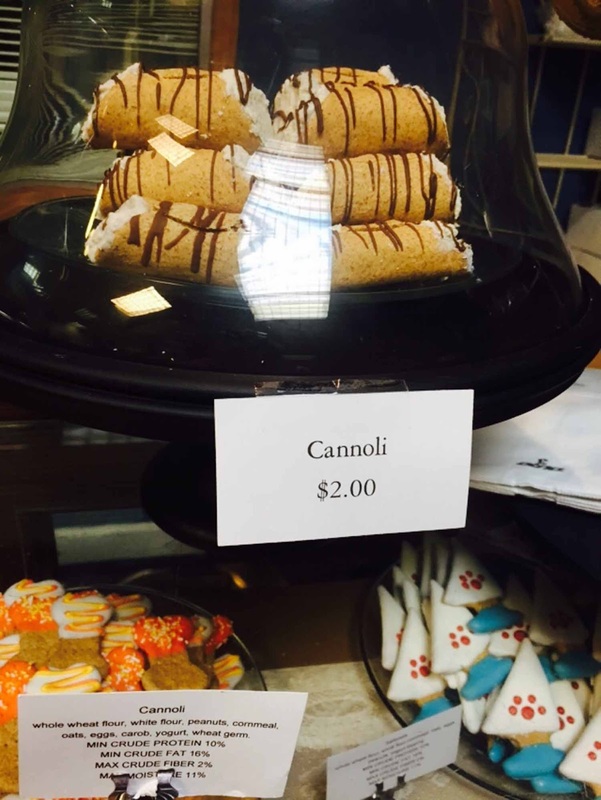 The second place on the agenda was actually the home of another bakery, but not one for us. 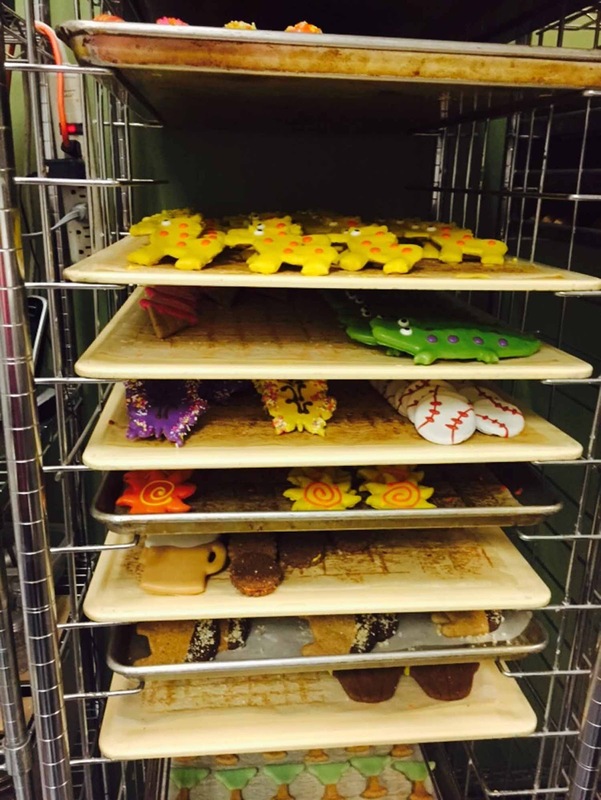 FuzzyButz is actually a pet bakery, where owner Mary Schaut creates treats for her four-legged friends. We were incredibly impressed with Mary’s creativity as we walked around, looking at items such as Sweet Potato Pie flavored treats; ones made to look like burgers, fries, and cannoli; peanut butter squares (peanut butter is actually a base for most of her items); and even squares that taste like lamb stew. 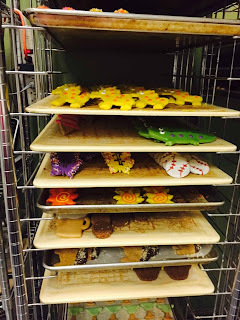 Before we left FuzzyButz we were able to go into the kitchen production area to see where all the cookies and treats are made. 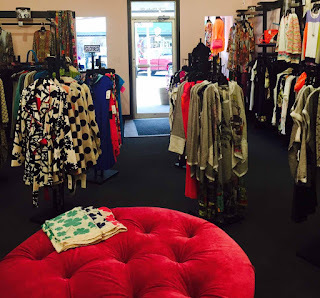 Next, we were off to check out the offerings at a few of the downtown boutiques, DK, Friends by Design and Perennial Accents. 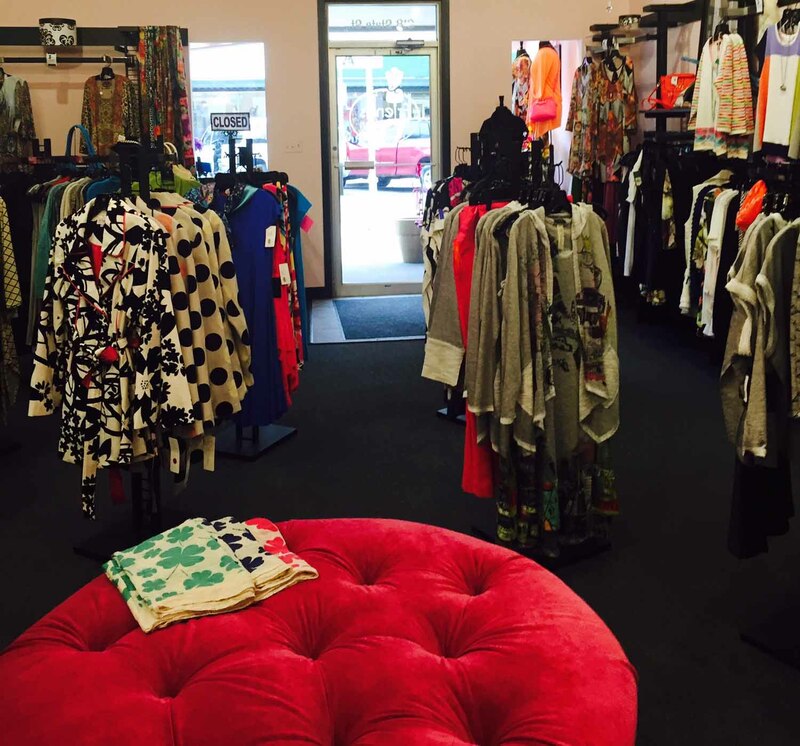 Each store has distinctive items for women, from clothing to shoes and accessories. It was nice to hear that all the shops work together to make sure they can collectively provide unique things for everyone to buy -- and wear. We continued the girls theme, though Revive was a spa like no other I’ve been to. Jonathan took us around Revive and I’m sure he heard “wow” out of me quite a bit! I had never seen a place like this. I had never heard this term before. Basically, it meant that you rented out the room and the equipment to use yourself. 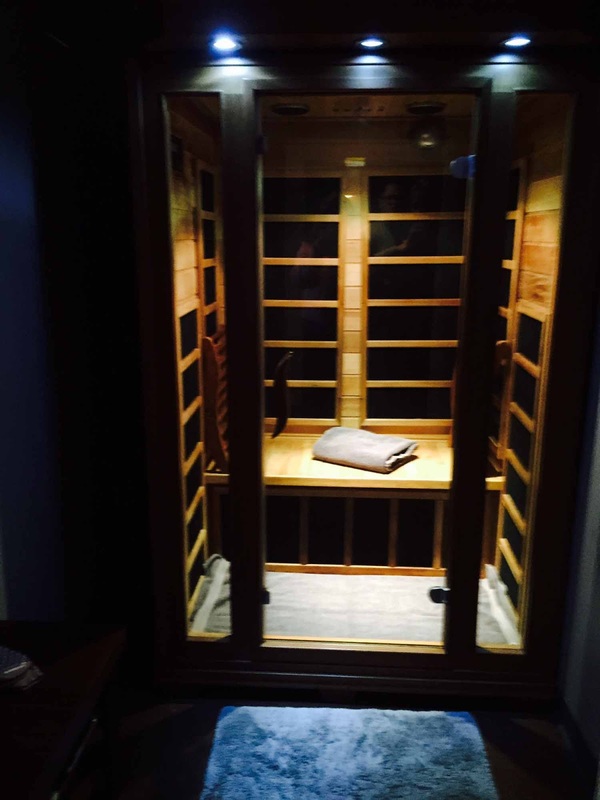 Among the options were spray and UV tanning, a Lumiere Facial machine, a relaxing massage chair, Red Light Therapy, and a Hydration Station. Lynn and I were able to each pick a complimentary treatment (the costs are very reasonable, beginning at about $30 a session). I went for the Red Light Therapy, which is said to help combat aging while also reducing pain and inflammation. I wouldn’t say it cured anything, but I did feel good and my skin looked a bit better when I came out of it and met back up with Lynn, who was in the massage chair. By this time, we were really hungry and it was a good thing because the menu at The Buck, Burgers and Brew looked fantastic. Owner Ken Kozminski came over to say hello and show us the menu, which included the option to create your own burger with beef, ground turkey, chicken breast, or black bean patties, then top it with anything from old fashioned American Cheese to cream cheese and a variety of sauces. I didn’t need to make my own burger because there was one that immediately caught my eye: The Harvest Burger. 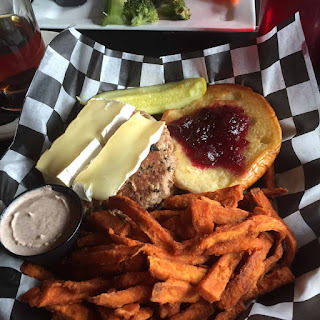 It is a turkey burger with apples, cranberry jam, and brie cheese. It was one of the best lunches I’ve ever eaten. 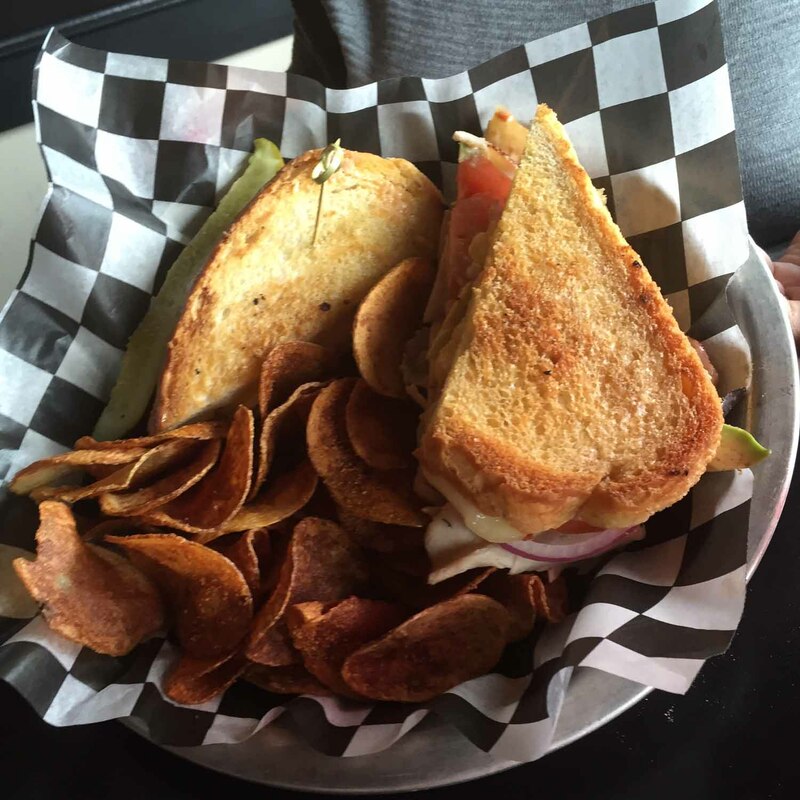 Lynn was equally satisfied with her Turkey IPA Ruben, made with avocado and coleslaw. 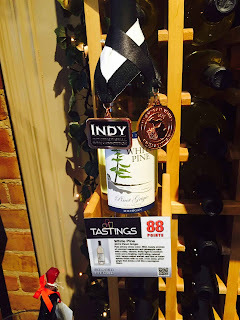 After lunch, it was time to taste some more Southwest Michigan wine. Two tasting rooms were located right downtown so it was easy. Baroda Founders Wine Cellar had some good wine, such as their Lake Side Breeze Demi-Sec, and also fun wines. 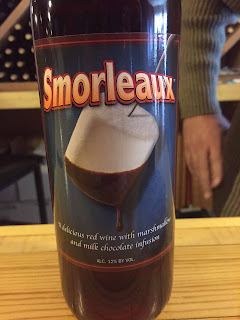 I really liked Smorleaux, a red wine infused with marshmallows and milk chocolate. At White Pine Winery, I agree with the awards given to their fruity pinot grigio. 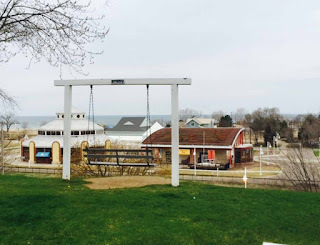 Lynn and I walked down to the Silver Beach Carousel. 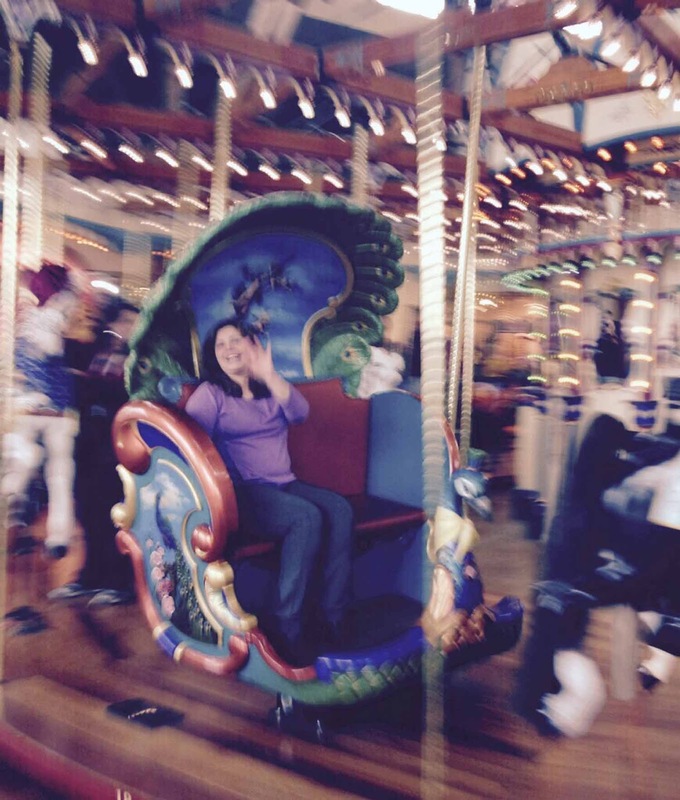 I happen to love Merry-go-rounds so I was looking forward to this all day. 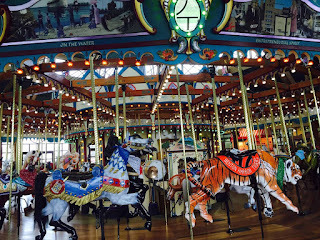 We met with Carla and she told us about the history of the carousel, which has hand-carved horses and a brass ring machine, and dates back to 1910. 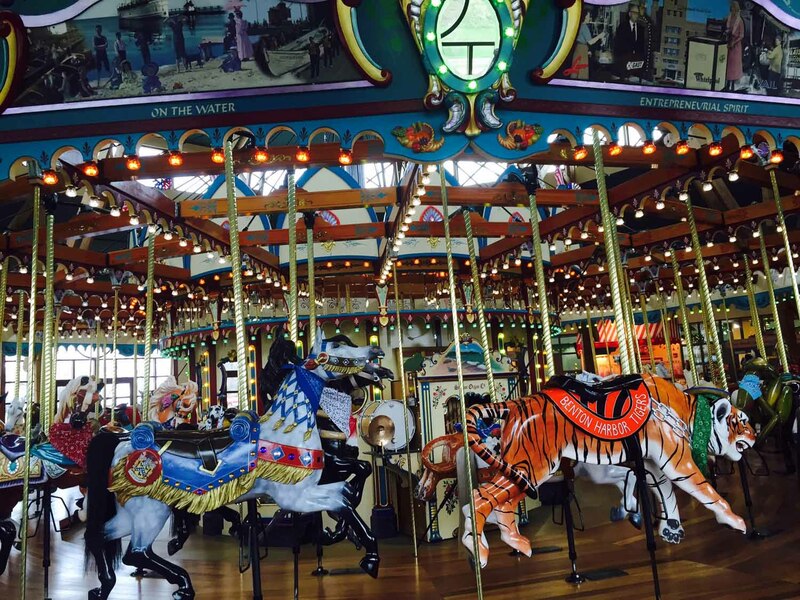 A century later, a fundraising campaign is underway to restore the carousel, but it still looks quite beautiful. 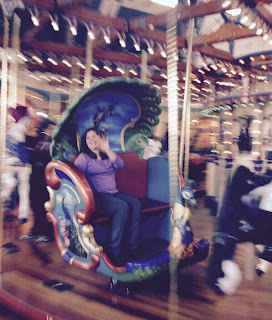 I got to take a ride before we left. Our final stop of the day was at the beach. I still find it hard it’s believe that Lake Michigan is as big and beautiful as it is. We walked along the sand for a while and enjoyed the quiet. I always find myself enjoying beaches more in the spring and fall than the crowded summer. 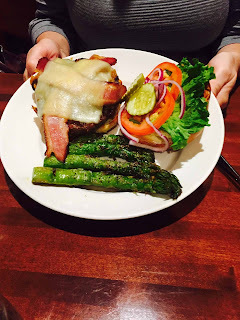 We drove back to the Inn at Harbor Shores and had an early dinner. St. Joseph had been wonderful, but it definitely wore us out. 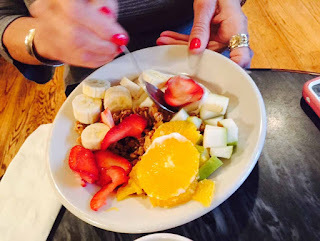 We’d be leaving Southwest Michigan in the morning and heading back to Illinois, where we were checking out Hotel Arista in Naperville.